Unless I’m making guacamole, it’s rare that I use an entire avocado. 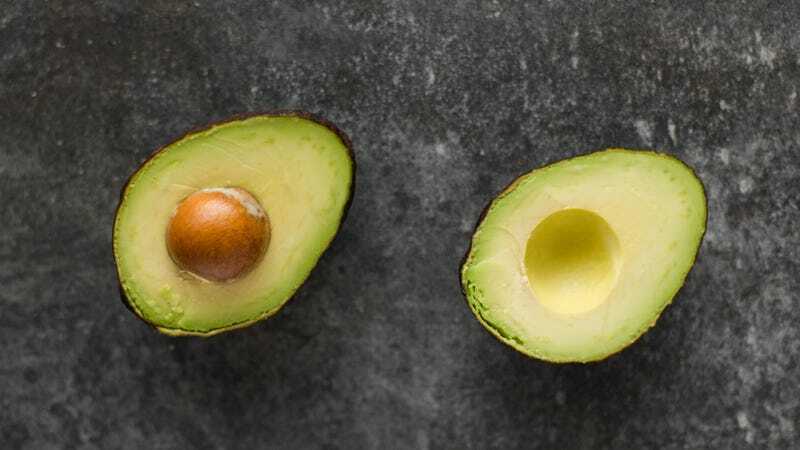 Sliced on a sandwich, chopped up as a chili topping, cubed in a salad—all of these single-serving uses require, at most, about half an avocado. That means I end up cover the unused half with plastic wrap and sticking it in the fridge, which despite my best efforts, invariably leads to oxidation and unappealing soft brown spots. But it doesn’t have to be this way. Enter: Snack-sized avocados. Tesco, a retail chain that alas only exists on the other side of the Atlantic, has recently stocked its Irish stores with Zilla Eggs: mini avocados that are just slightly larger than a chicken egg. Tesco first debuted these mini-cados last year in a limited run at 100 of its U.K. supermarkets, but they’re now available in Ireland for the first time. (Hey, any word on the U.S. shoppers getting our hands on these?) According to Tesco’s press release, Zilla Eggs are about one-third the size of a standard avocado—70 grams compared to 200 grams. Farmers would traditionally discard these small avocados, but Tesco has found some customers prefer them for snacking. Sign. Me. Up. They’re the solution to the half-an-avocado-languishing-in-a-bag problem, not to mention they’re quite adorable. My supermarket stock baby carrots, baby bok choy, fingerling potatoes, cherry tomatoes—I’m ready for Zilla Eggs.